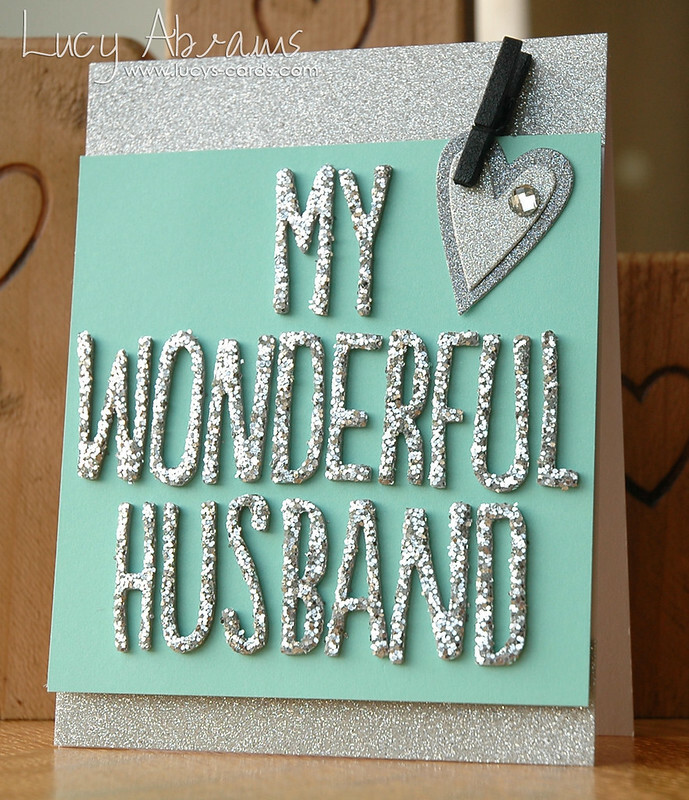 I just thought I'd pop in today and share the card I made for my husband. We don't get to spend today together as he has gone away for a long weekend on a stag do / bachelor party. But I made him this card and slipped it into his luggage hoping he'll find it when he's arrived. He likes my more simple cards, so I kept to a very simple colour scheme and design, using some gorgeous Pebbles Thickers, yummy glitter cardstock, some Simon Says heart dies and a cute mini clothes pin. Hope you have a lovely Valentine's Day, and a fabulous weekend. Love all the sparkle Lucy!! !Sweet card! Ohhh! I so see my husband loving this, too! Great card and happy valentine's day to you! 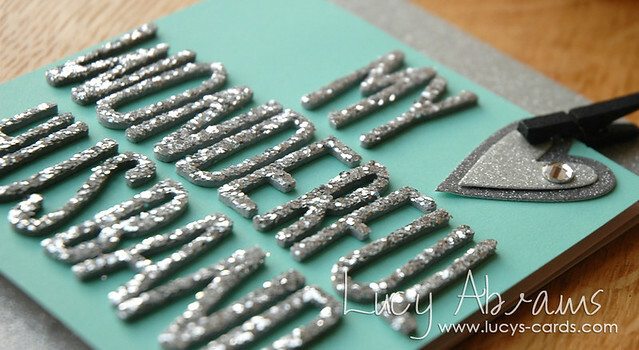 Wonderful - love the silver and aqua and all of the valentine sparkliness! OMG- glittery goodness!!! LOVE it!